In winter, Dolomiti Superski, Sellaronda or Plan de Corones/Kronplatz make the downhill and cross-country skiers' heart beat louder. 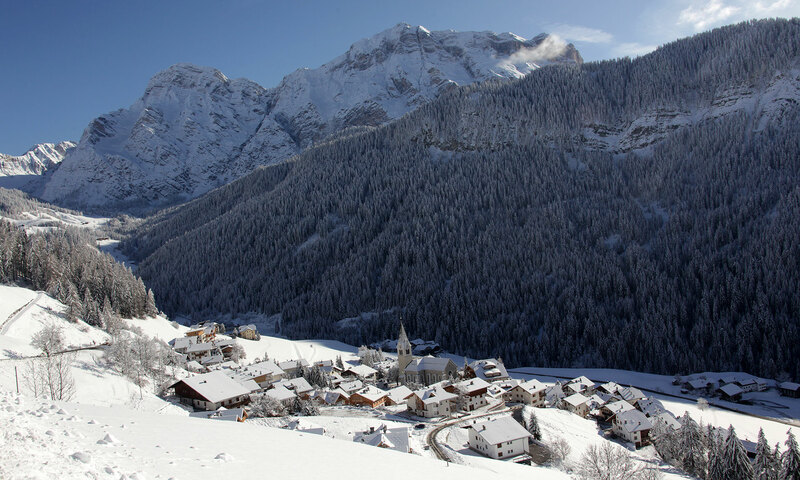 A free skibus service with destination Alta Badia is available from our hotel. All nature lovers will find here hard-packed pathways for either an adventure on sledge or simply to quietly stroll around in a wonderful winter landscape. 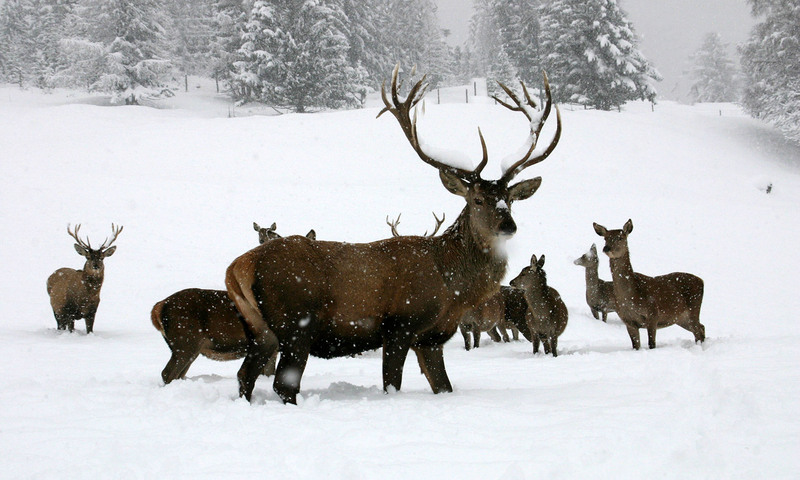 Moreover, those who are passionately fond of snowshoes or cross-country ski will find their paradise. Snowshoe rental service is available in our hotel. 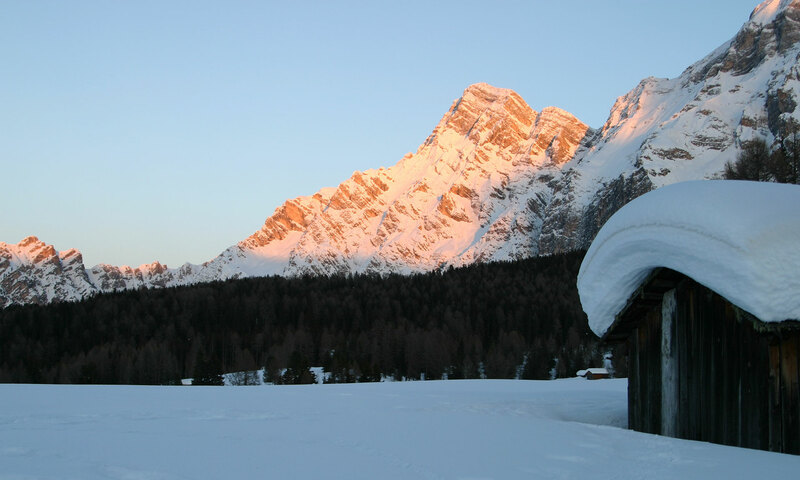 During the winter it is possible to do many winter excursions in Alta Badia, as on the special snowshoes (to hire from the hotel), skiing... and romantic people can also try a sleigh drawn by horses! The excursion on the special snowshoes is new between the winter sports. This sport offers the possibility to admire and enjoy quietly the nature in the winter either alone or with someone accompanied by an alpine guide. You can hire equipments directly from the hotel and get also information there about the different easy and difficult routes. 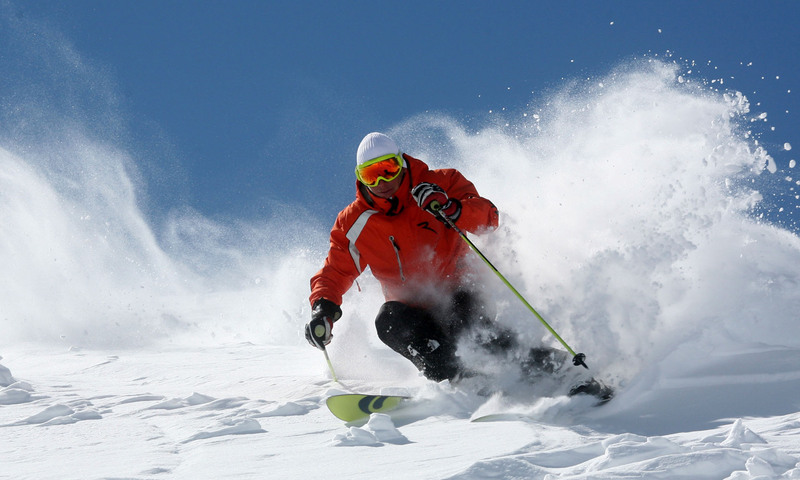 The ski experts can enjoy the "Round of the Big War", typical of the snow excursions in Alta Badia. 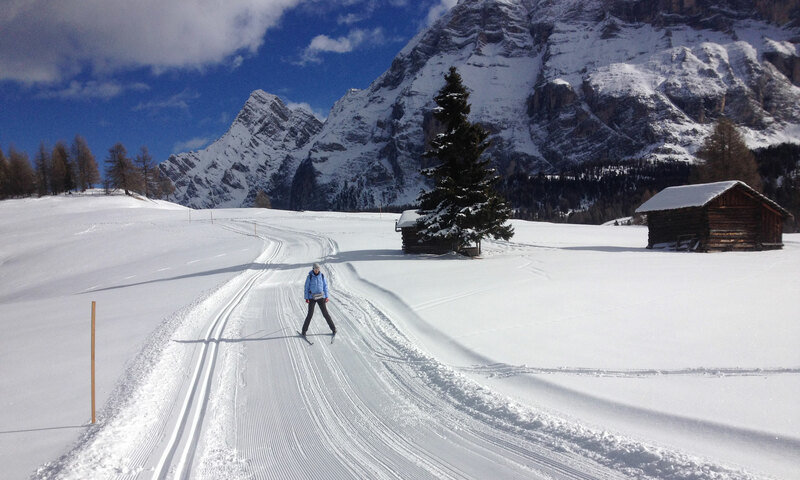 The cross country skiing can be practiced on very good organized runs in Alta Badia. These runs are 35 km long and can be covered thanks to the "classic" technique and the "skating". 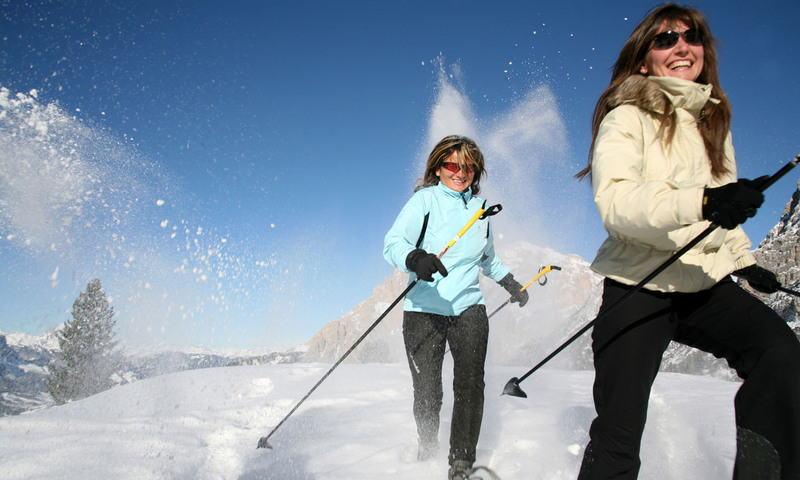 People who are keen on cross country skiing are able to meet the champion Maria Canins and her husband in the Centre of cross country skiing of Alta Badia, in San Cassian. San Cassian is a mountain vacation resort famous for its restaurants, three of them were given a price by the Michelin stars. Another fantastic area for this kind of sport is located between Corvara and Colfosco. The runs Dolomiti reach the waterfalls of Pisciadu and are 16 km long. This route permits to explore the Natural Park Puez-Odle and is located in the "Passo delle Erbe" on the bottom of Sass Putia.